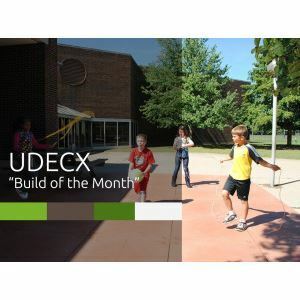 UDECX is a revolutionary modular and portable outdoor flooring and decking system that is ultra-low maintenance with practically unlimited configuration and commercial application possibilities. The UDECX surface is composed of standardized 40-inch square pads. Pads are place on top of piers and locked into place with a simple hand tool. 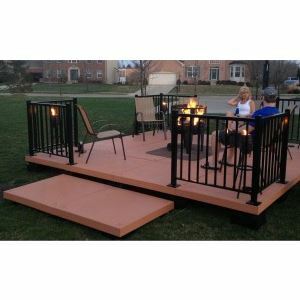 Shims and risers enable the system to be leveled on uneven terrain. The surface pads are made of composite material to ensure strength and durability and feature a non-slip synthetic wood grain texture. The pads support 100lbs per square foot. 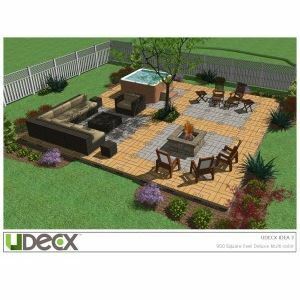 UDECX offers a 15-year manufacturer’s warranty and our products are proudly made 100% in the U.S.A and many of the components of the system are made from recycled materials. UDECX configurations are amazing simple to implement. Simply place the UDECX support piers into position (using a UDECX-provided template), place the pads on the piers and secure the pads onto the piers with cam locks using the UDECX hand tool. Beyond the hand tool, a shovel, level and hammer are all that may be needed. It’s just that simple. Using the basic component (pads) unlimited configurations can be created with practically unlimited applications. The modular design allows for the relocation, reconfiguration or expansion of the system with ease, so the UDECX system can be easily adapted and changed to meet changing needs or requirements over time. AMAZING cost savings over time! Temporary sidewalk. Reuse, Relocate and Reconfigure as needed.